Product prices and availability are accurate as of 2019-04-22 04:36:01 BST and are subject to change. Any price and availability information displayed on http://www.amazon.com/ at the time of purchase will apply to the purchase of this product. 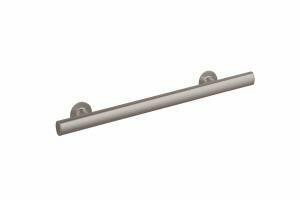 STERLING grab bars deliver smart, versatile safety solutions for any bathroom. This bar installs from the front of the bathing/showering unit. It offers adjustable mounting brackets to fit your specific installation requirements.